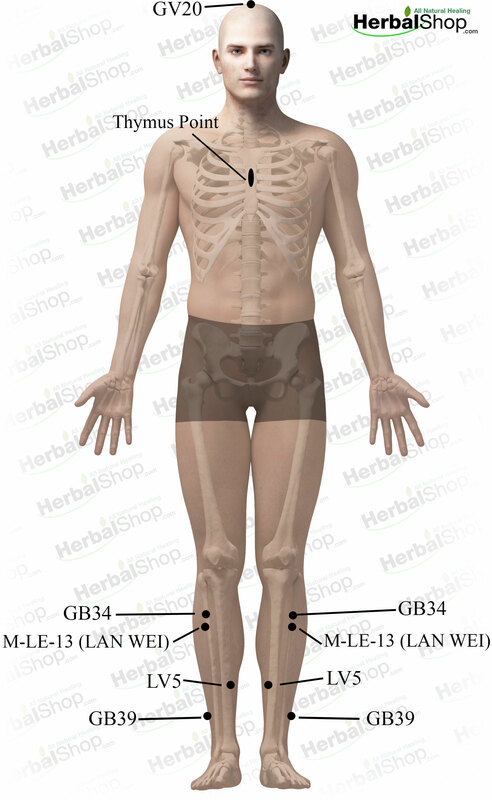 These are the acupressure points for connective tissue disorders. Working on these points can help you get better faster. You do not have to use all of these points. Using just one or two of them whenever you have a free hand can be effective. Location: The tender spot about 2 body inches below St 36. Benefits: Activates qi and blood and clears heat and fire poison from the Large Intestine. Acute and chronic appendicitis, indigestion, abdominal pains, abdominal spasms, poor peristalsis, incontinence of the bowel and bladder, paralysis of the lower extremities.